inside a single bedroom, authorities said. 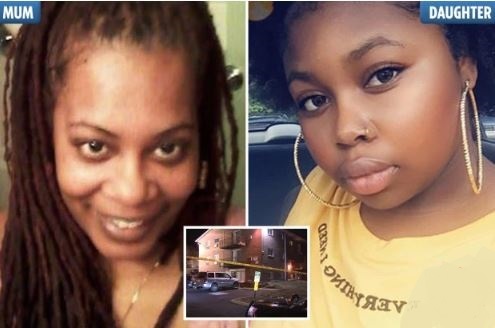 Cops were called to the flat in Morrisville, Pennsylvania, on Monday afternoon and found all victims inside a single bedroom. Suspects Shana Decree, 45, and her daughter Dominique Decree, 19, have been taken into police custody where they each face counts of homicide. 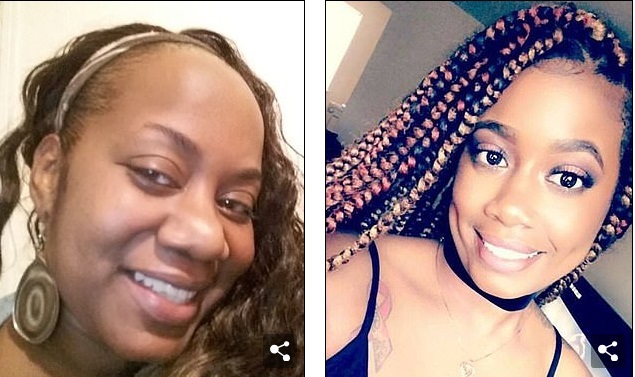 Found dead were Shana's daughter, 25-year-old Naa’Irah Smith, her son, 13-year-old Damon Decree Jr., her sister, Jamilla Campbell, 42, and twin nine-year-old nieces, Imani and Erika Allen. A friend of the victims told NBC10 in Philadelphia that a landlord had been called to carry out a welfare check on the residents. Morrisville police chief George McClay told LevittownNow.com there was no obvious signs of trauma on the bodies and that fire crews didn’t detect any hazardous materials on site. Bucks County District Attorney Matthew Weintraub told a press conference last night: “This is a terrible tragedy. Speaking to the Bucks County Courier Times, he added: "The people that committed these atrocious acts are in custody and we’ll make them pay for their crimes. The motive is not known at this stage. Police are also searching for Jamilla’s 17-year-old son, Joshua Campbell, to make sure he is safe. He is not a suspect.